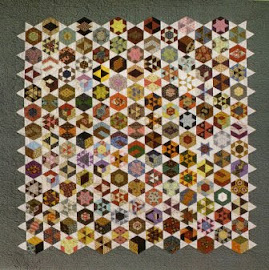 I have been cutting out fabrics for an Antique Sampler Block of the month, lots of fabrics are needed for this one. 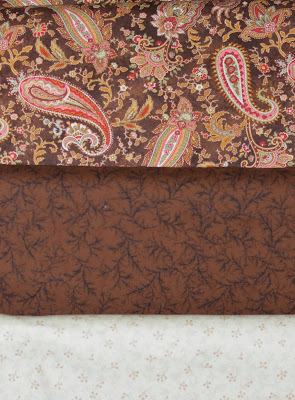 My customer likes brown and pink so I have included lots of beautiful fabrics in this colourway with a gorgeous paisley border fabric. WOW! 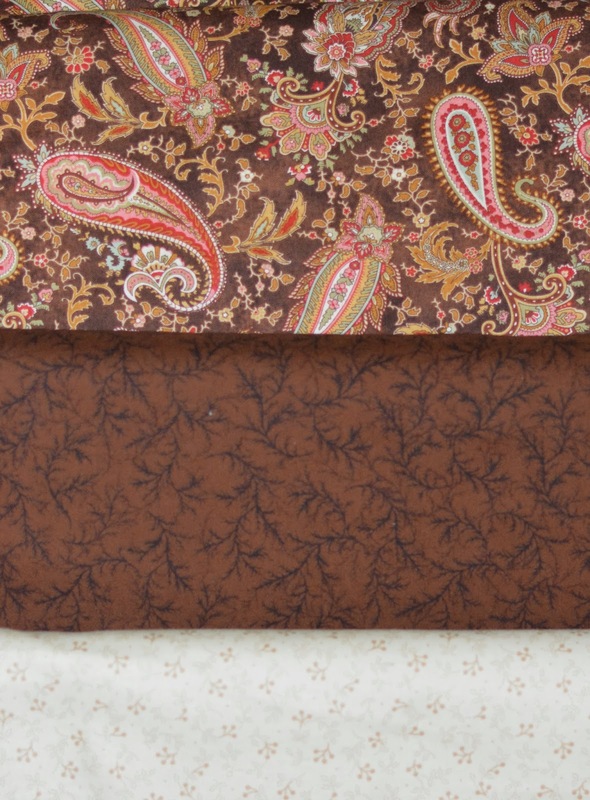 Lucky customers - the fabric choices are beautiful. What a lovely heirloom project. Yes this is a lovely quilt. It's on my to do list!